Born January 10, 1928 in Seguin, Texas (Guadalupe County), to Willie T. Bean, Sr. and Estelle Terrell Freeman Bean the third youngest child of two older sisters. He accepted Christ as a child at Second Baptist Church in Seguin. He attended Lizzie M. Burgess Elementary and Ball Middle & High School where he graduated in 1945 under Principal, W.M. Ellison. He was affectionately known as “Hambone” in his hometown. As a young man finding his way in life, he obtained a job as a truck driver with C.W. Traeger Company in 1945; and then a train porter for S.P. Railroad from 1948-1950. 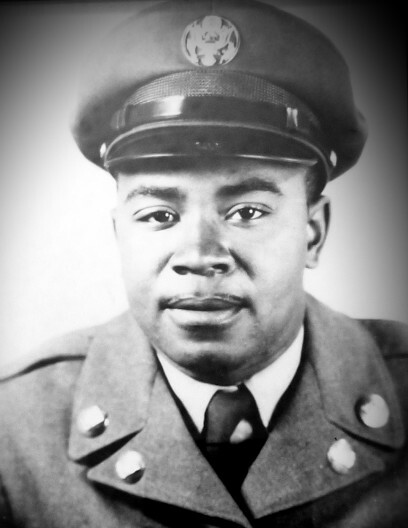 He was then drafted to serve in the United States Army (1950-1952) in combat with the 1st Calvary, 7th Regiment in Korea 13 ½ months. He was honorably discharged as a Corporal and served 4 years inactive reserve. Willie moved to San Antonio, Texas to live with his older sister Naomi R. Wade. While attending St. Phillips College from 1956-1958 majoring in Industrial Education and Tailoring, he met the love of his life, Leathia Mae Amos, who lived next door with her sister, Henrietta E. Gantt. She swept Willie off his feet in 8 months with her pretty little self. They would wed on September 8, 1956 in Weimar, Texas by Rev. A.M. Simmons. In 1968, they were the first black couple to move in their home on Jarbet in Eastwood Village a predominately white neighborhood, where they raised their children, Anthony and Stacie. For months they endured hate through rude phone calls, writing in the driveway and on their home. And through it all they stood strong and shared a very loving life together for over 62 years. Just as he was dedicated to his wife and family, he was dedicated to his church, Greater Mount Olive B.C. He joined in 1958 under the late Rev. J.N. Byrd. He was ordained as a Deacon in 1987 by Rev. A.W. Cole where he served faithfully for 60 years. Willie as a man, began working for Lackland AFB for 7 years in the motor pool and then transferred to Kelly AFB. He would retire after 38 years of service as a Civil Service Transportation Supervisor Section Chief in Air Craft Refueling. During his tenure he oversaw the service of the Columbia Shuttle Piggyback 747 Aircraft and the Endeavor Piggyback 747 Aircraft. Willie could never sit still enough after retiring. He went on to retire a second time after working 10 years with the City of San Antonio VIA Transportation. He received several safety awards and retired under the 5200 Club which he was one of the first to retire under. He then retired yet again for a third time from East Central ISD as a Bus Driver for another 10 ½ years accident free. He was never afraid to work. Willie continued to dedicate himself to work about in the neighborhood; starting the first Neighborhood Association with his longtime friend, Henry Gallon. On January 13th, his lord and savior called him home, because his work had been done. He has been the strong hold of the Bean household, a true example of what a Father and Grandfather represents, a person who never met a stranger and loyal church member and Deacon of Greater Mount Olive Baptist Church. As we celebrate his life today, let us all remember the impact he had on all of our lives. Preceded in death by his parents, Willie and Estelle Bean; sisters, Naomi R. Wade and Emma L. McClain. He is survived by his lovely wife, Leathia Mae Bean; son, Anthony Bernard Bean (Marty); daughter, Stacie Estelle Bean. Grandchildren, Jasmin Nicole Acosta and Leathia Marie Bean. Great Grandchildren, Aiden, Zuri and Zoe.